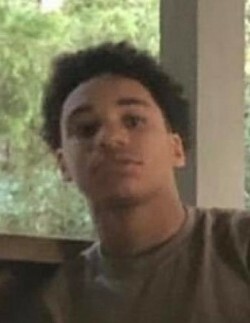 Jamahri Damonte' Lucas, age 14, departed this life on Thursday, March 21, 2019. Funeral, 12 Noon, Saturday, March 30, 2019, Lincoln Park Holiness Church, 13 Heath Street, Raleigh. Overseer Billy Ratcliff, Pastor, Officiating. The Rev. Clarence Ratcliff, Eulogist. Interment, Rand Street Christian Church Cemetery, 213 Haywood Street, Garner. Visitation, 11:30 AM to 12 Noon, Saturday, prior to the service. Survivors; mother, Letitia Lucas of the home; siblings, Raheem Lucas, Nequan Lucas, David Raines, Destinee Lucas and Travion Lucas all of the home; grandparents, paternal grandfather, Calvin Lucas of Raleigh and Barbara Sutay (Allen) of McLeansville; and a host of other relatives and friends. Public viewing, 12 Noon to 8 PM, Friday, March 29, 2019 at the funeral home.